Fans of the split-toe silhouette rejoice. Just yesterday, Nike Sportswear announced the return of the Air Rift. Today, another pair has been added to the first set of releases. With three colorways of the Air Rift already confirmed for April as well one for women in May, here's a new one for men also set to drop. This pair comes in crystal mint, bright citrus, total orange and black. They feature a mint-based upper with two shades of orange acting as accents. A white midsole and black outsole complete the look. 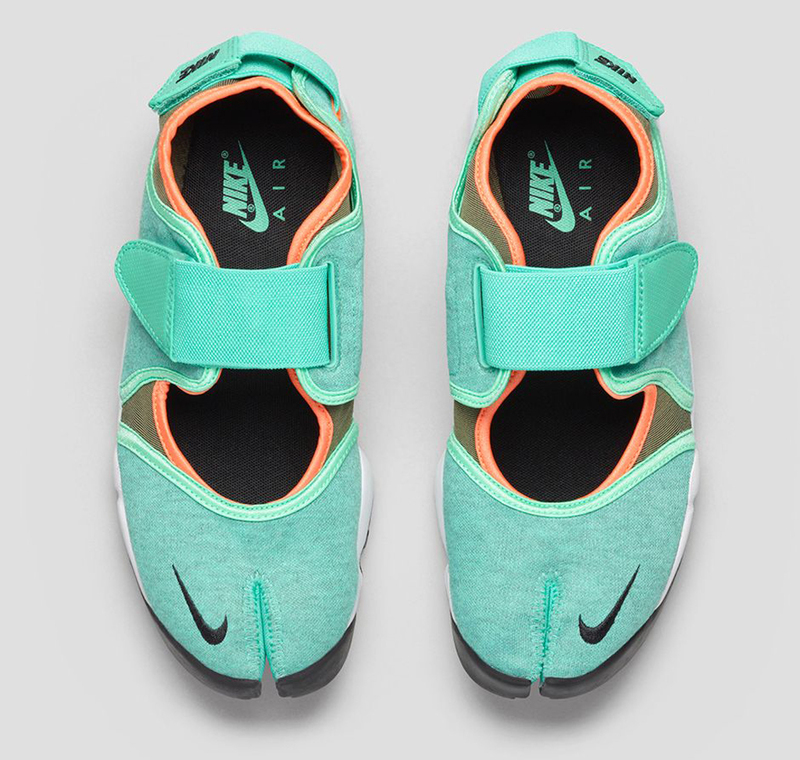 The 'Crystal Mint' Air Rift hits nike.com as well as select Nike Sportswear retailers worldwide on Friday, May 15.